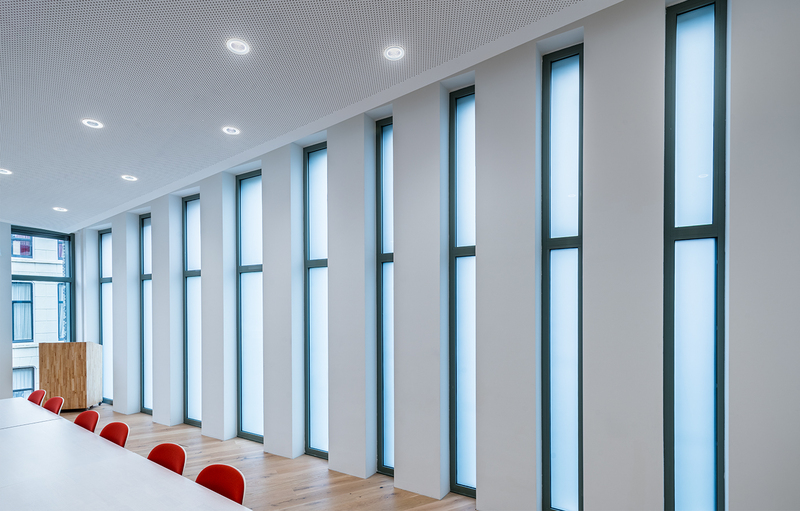 How do you renovate a historic town hall into an office space with modern lighting without losing its characteristic properties? 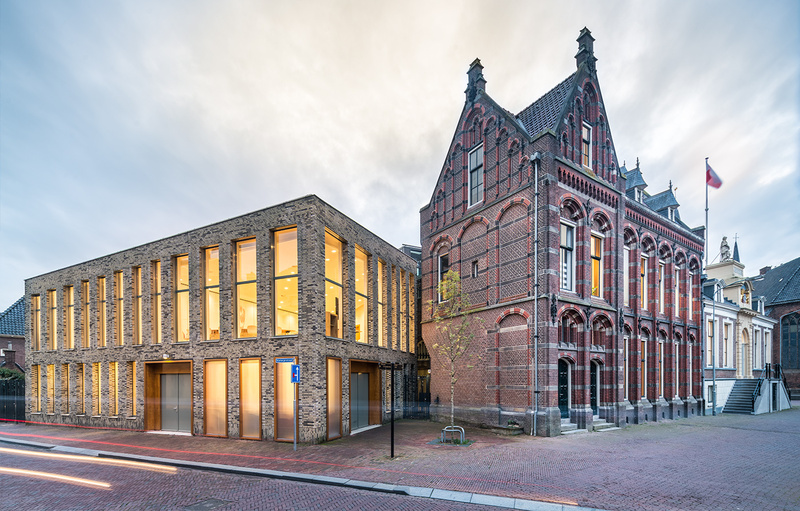 A look at Wageningen Town Hall in the Netherlands. 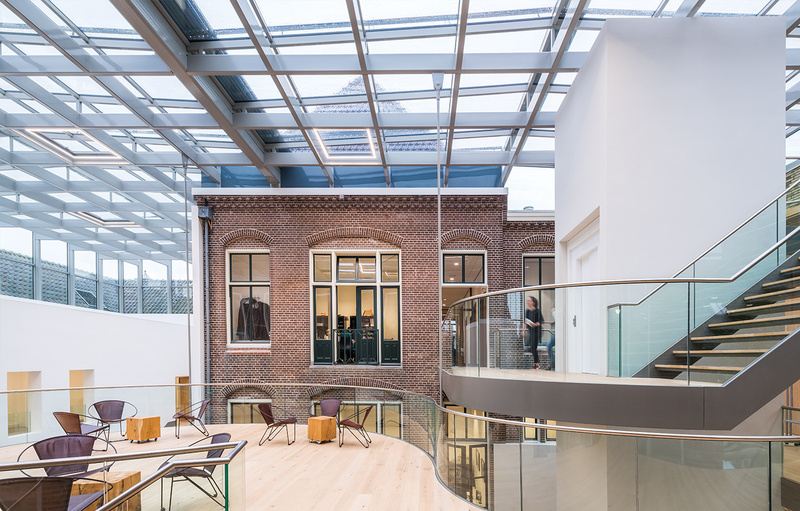 A glass atrium with a squared steel framework connects buildings from different eras: the monumental town hall and postal office and an office that was built in the ‘80s. The atrium functions as a reception and meeting place for employees and inhabitants of the municipality. Pendant lighting is often used to illuminate an atrium. For this project, however, the architect wanted to light up the glass atrium in a different way. 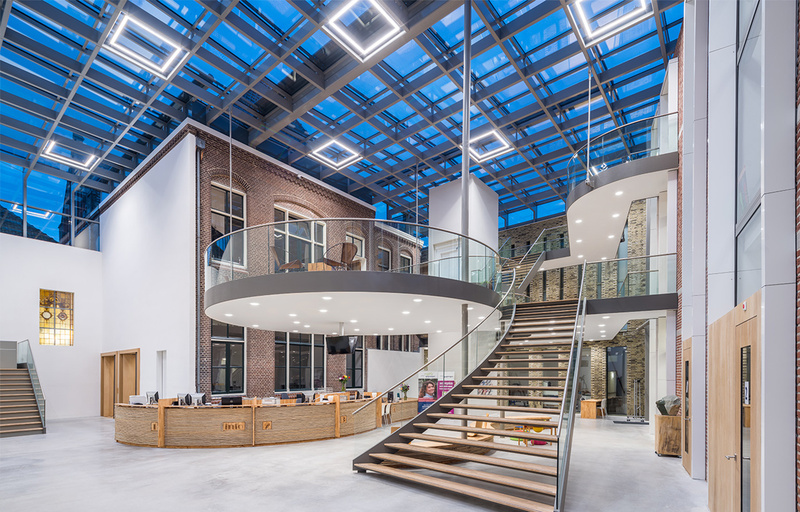 A custom-made squared lighting solution that fits perfectly in the steel framework was created. The interior design is based on ‘circular’ principles. Materials such as rope and rubberwood were re-used in the interior. The large counter and seats in the entrance area were made from used gym ropes.